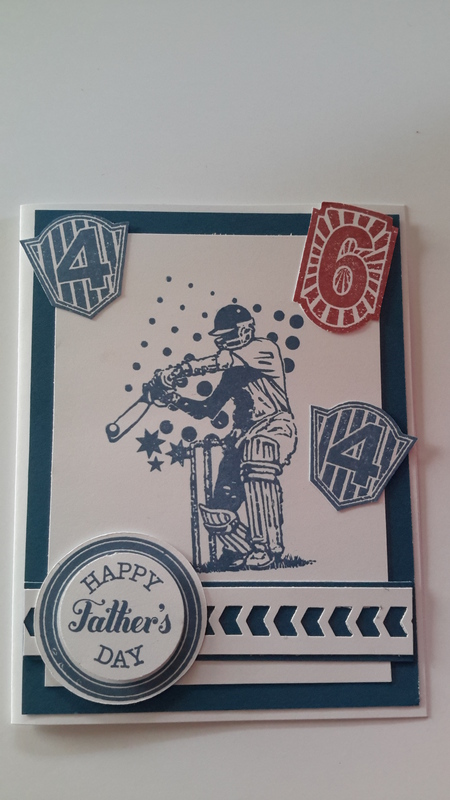 Next week is Fathers Day so I have made some more Fathers Day cards for sale at Gift Hutt. Close to My Heart provides a wonderful range of masculine stamps and there is also a good range of papers in each Reflections pack that are suitable for masculine cards. 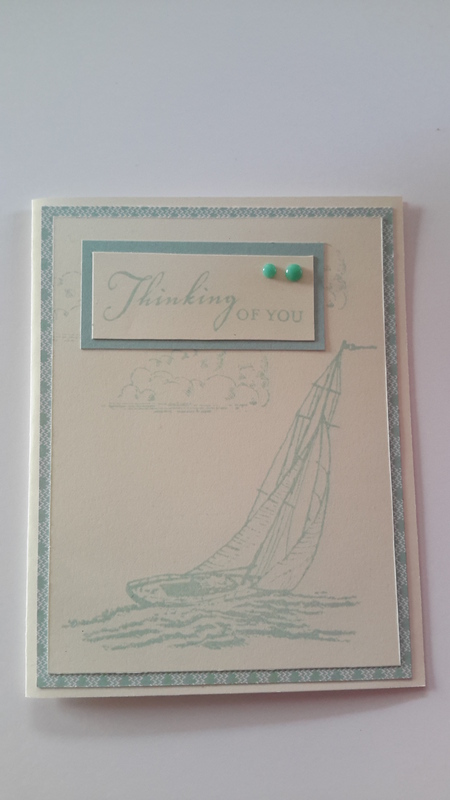 I have used a mix of Timberline and Seaside papers for these cards. 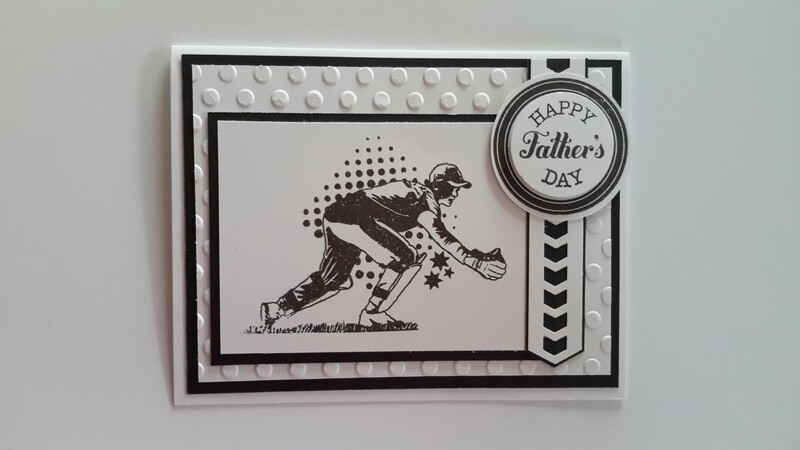 And of course Black and White are New Zealand’s colours and worked really well with the fabulous cricket themed stamps that Close to My Heart have created especially for the Australasian market. These stamps will come in handy later for some more scrapbook layouts for my son. I have used a number of patterns from both the Make it From Your Heart books as well as the Originals Card Confidence books. 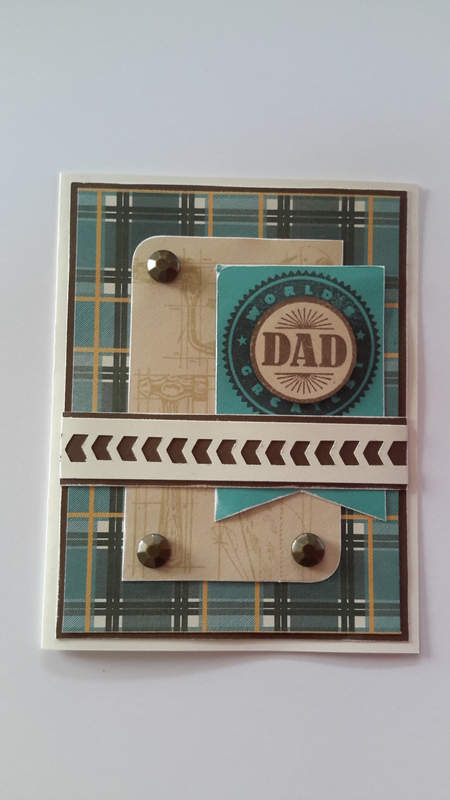 Also used was the new Chevron border punch. It makes a great trim when backed with a contrasting colour cardstock or paper. 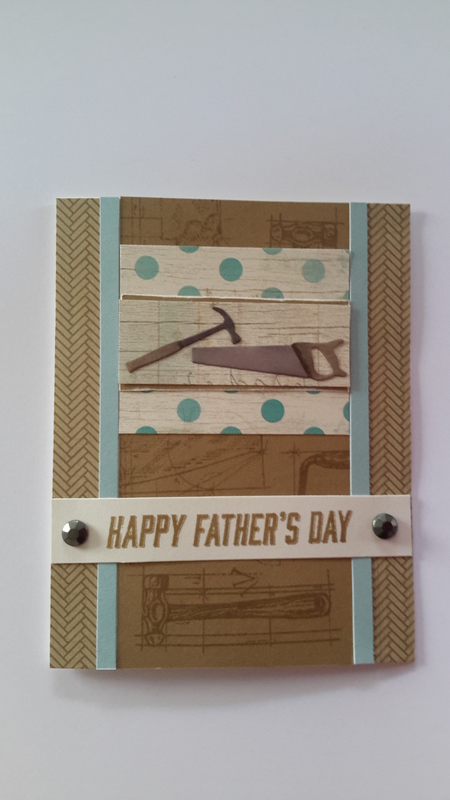 Again I have used my Twin Touch markers to colour in the small tools that I have cut out with the Memory Box die. I had better head off to bed now but I hope you all have a good week.